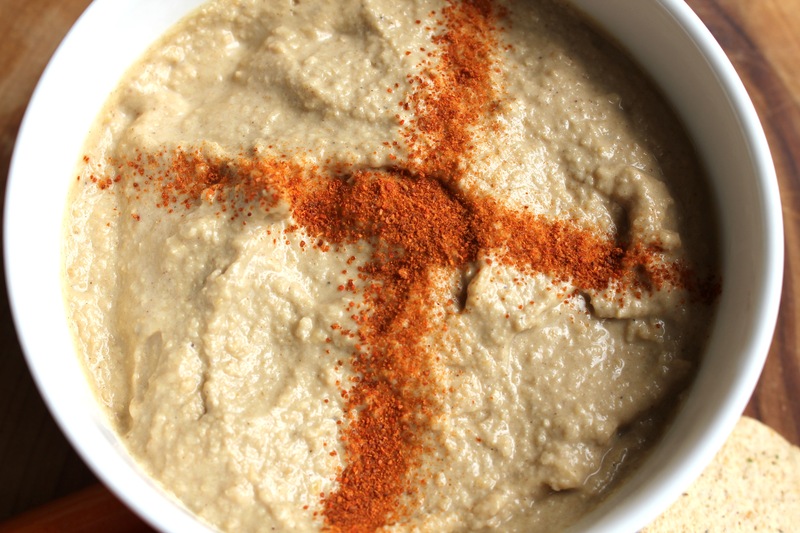 Super quick, and healthy hummus dip | Hey Bernice! I started mothers group a few weeks ago. Each week we are asked to bring a plate of food each – which results in around 10 plates of food. If we had all been starved for days on a deserted island I think this would be a suitable quantity of food for the occasion – instead we are all post pregnancy mums trying to shed a few extra kilos. An abundance of food is the last thing we need! One clever member of the group suggested that a couple of people each week bring a plate (reducing the amount of food, whilst also taking the pressure of all of us to produce something each week). So I volunteered to go ‘on duty’ this week. We also agreed to have a savoury and a sweet option. In typical baby brain mode I couldn’t remember what I had agreed to bring, so ended up having to make both a sweet and savoury option – that will teach me to pay more attention next time!! I have been making this hummus for years from my all-time favourite go-to cookbook Campion & Curtis in the Kitchen – it is not a glamorous cookbook full of photos, they describe it as ‘Essential recipes for the modern Australian home’. I refer to this book more than any other (and I have a lot of cookbooks to choose from). Note: I have altered the recipe for convenience and use canned chickpeas. Place chickpeas in a food processor and pulse until smooth. Add garlic, tahini, spices, lemon juice, oil, salt and pepper. Blend until all ingredients are smooth and well combined. If it is thick add some water. You can adjust the seasoning by adding extra spices, lemon juice or salt and pepper. Place in a bowl, drizzle some oil oil over the top and sprinkle with sweet paprika. 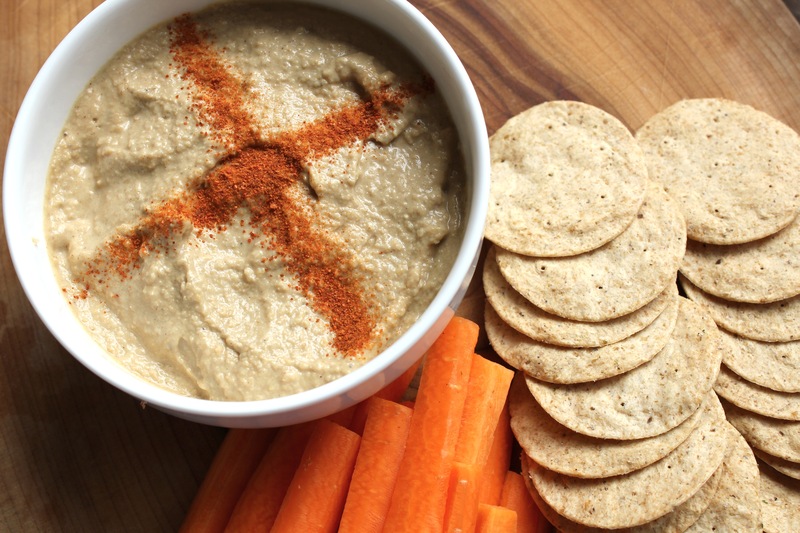 This dip is a great snack with carrots or celery. I also love it with rice crackers or Lebanese bread. I used this dip when I was on a 4 months detox a few years back, it really satisfies when you are starving but want to keep things healthy. Sounds yum! Can’t wait to try it!!! I noticed that’s there are two types of tahini – do you use hulled tahini??? Good question – you can use either. The unhulled is darker, and stronger in flavour. I usually use the hulled. Pingback: Almond crackers – gluten and dairy free, and perfect detox food! « Hey Bernice!